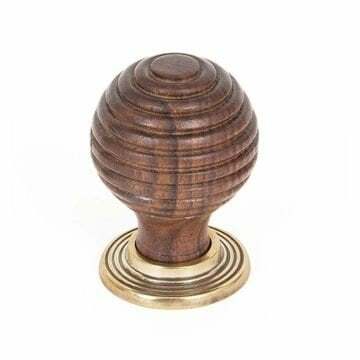 Beehive Cabinet Knob by From The Anvil. 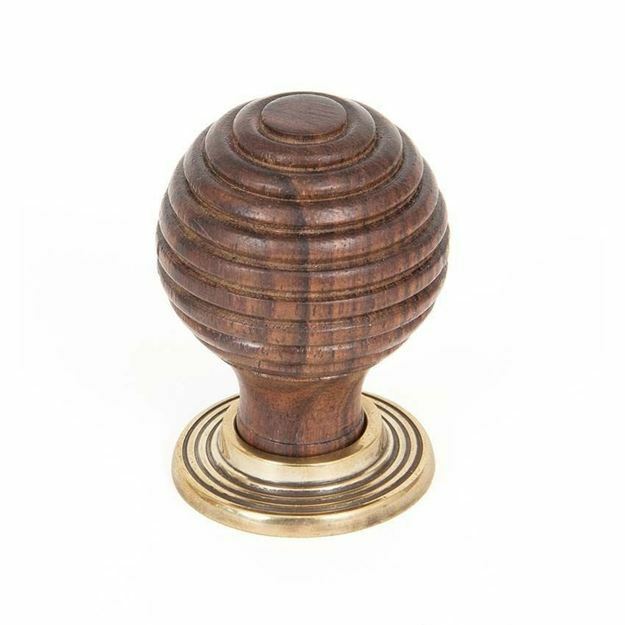 Finish: Rich hued Rosewood knob with antique brass rose. 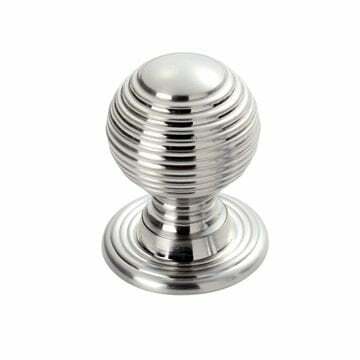 Designed to match perfectly with the Beehive door knob sets. Small (83875) - 35mm dia. knob on a 32mm rose, 50mm projection. Large (83876) - 38mm dia. 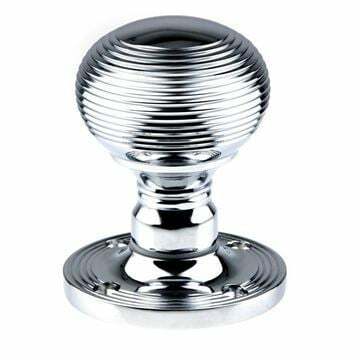 knob on a 37mm rose, 55mm projection. 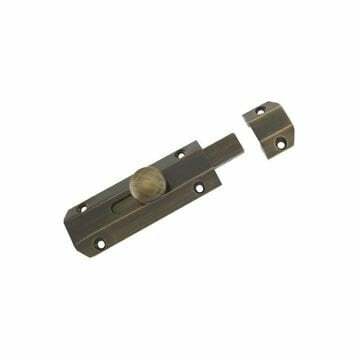 Priced and supplied in singles with M4 machine screw.